Thanks so much for stopping by today to check out the latest challenge from the crew at SHOPPING OUR STASH. Our theme this week is He Loves Me, He Loves Me Not...that means we want to see your Valentine or Love themed project. We would love for you to join the crew and play along. 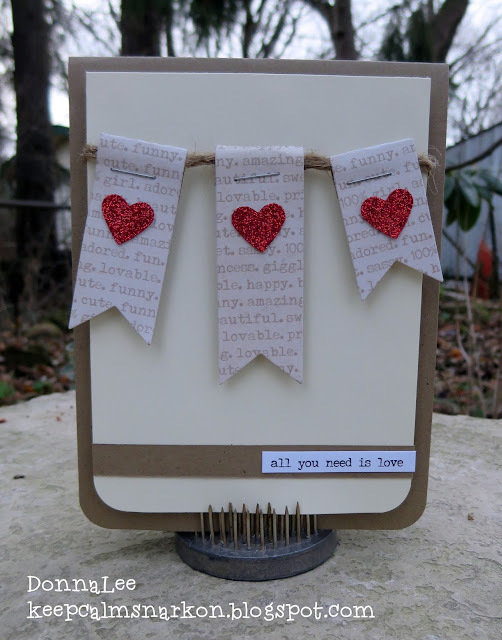 Love your "banner" card, great design fab. card. Love this... all neutral with the red! I also love the muted typed paper plus the matching font on the sentiment. Well done! This is beautiful, Donna! Awesome card.